Taco Stew has been a family favorite since the girls were little tykes. They loved it and it was another way I could get them to eat vegetables. In a pinch, I have substituted different vegetables and cheeses with equally good results. Typically I double or even triple the recipe and freeze the leftovers. 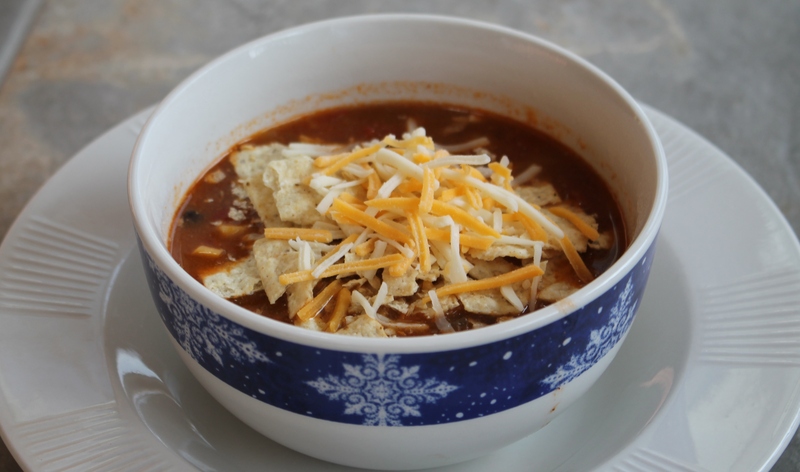 You could easily make this without the beef (or turkey) and omit the cheese and have a vegan version of Taco Stew. This recipe appeared in the Denver Post many years ago as a recipe a young boy submitted for a recipe contest and won. Brilliant! Brown beef, drain and rinse with hot water to remove excess fat. Combine all ingredients, except tortilla chips and cheese, in a Dutch oven. Simmer on low. To serve, crumble tortilla chips in a serving bowl and cover with a generous heaping of stew. Sprinkle with cheese.